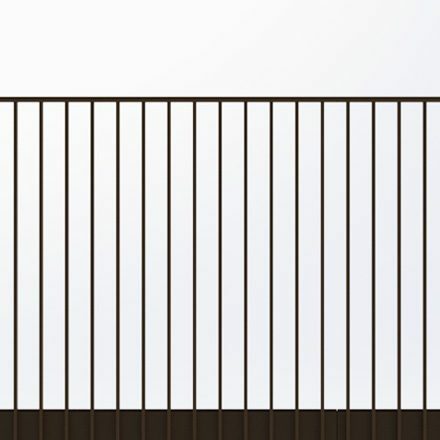 An alternative type of balustrade for edge protection, these designs maximise views and natural light with a minimalist style that has no vertical uprights or supports. This is a popular choice for enhancing the architecture of both contemporary and traditional buildings. 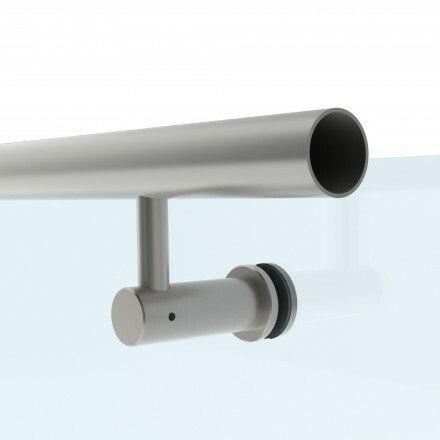 You have the choice of a variety of handrails, glass thicknesses and base details, to suit the environment and load requirement. 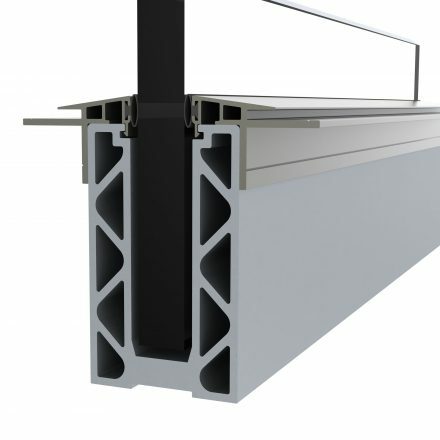 The versatile base fixing can be coordinated with other cladding or trim details, concealed in the floor build-up, or covered by various trim options. 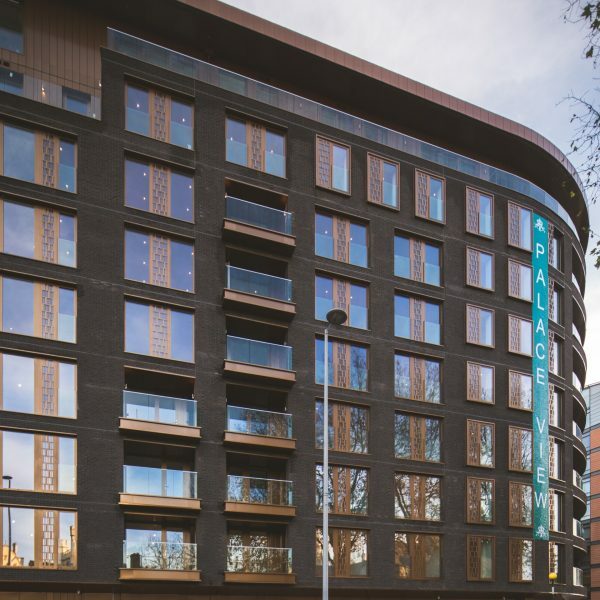 By coordinating with other contractors and delivering within a short lead time, we ensure that the whole process is as appealing as the stylish design. 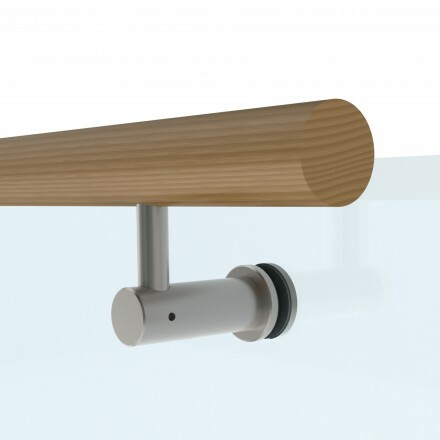 Surface mounted base channel for fixing glass balustrades below or above the finished floor levels. 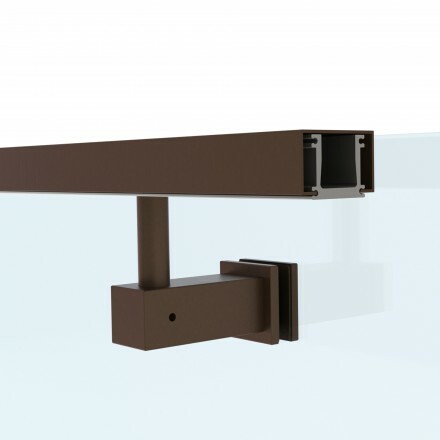 The channel can be mounted to concrete or steel edges or to bespoke steel brackets to integrate with existing edge details. 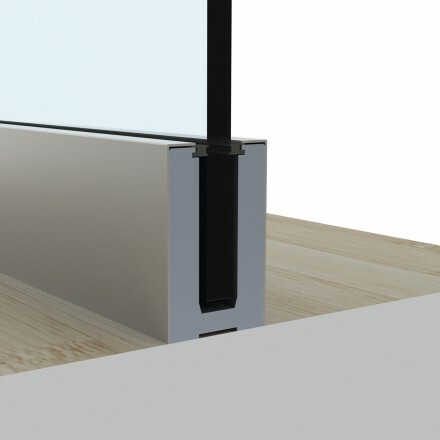 Glass is mounted in the channel with the BA proprietary wet grout system or dry wedge system. 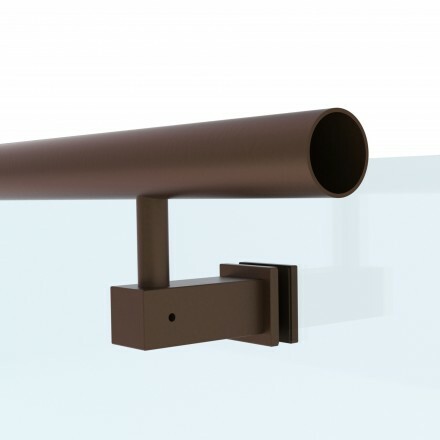 Offset mounted base channel for surface fixing glass balustrades to balcony edges in concrete or steel. 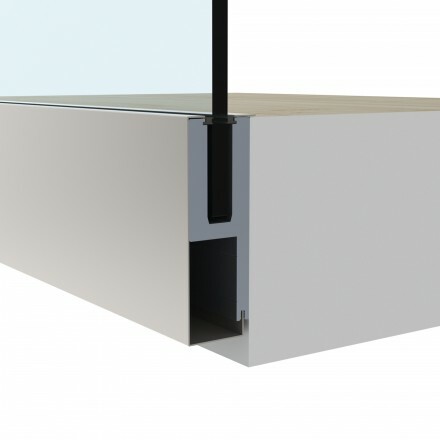 The channel can be concealed below finished floor levels and is used extensively where balustrades are mounted close to edges of balconies. The channel is designed to fully integrate with other trades or disciplines. 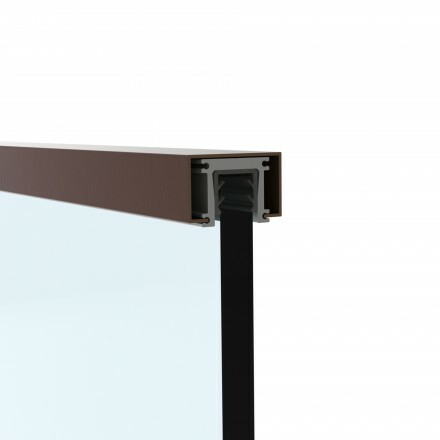 Glass is mounted in the channel with the BA proprietary wet grout system or dry wedge system. 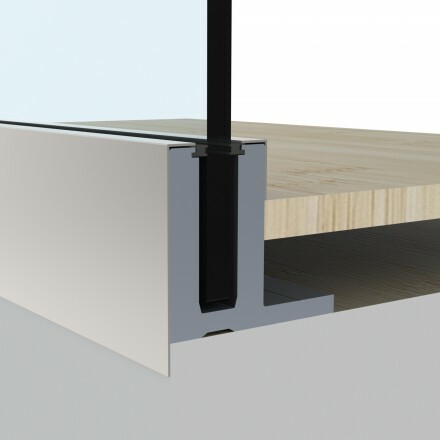 Side mounted base channel that provides an alternative fixing method, maximising floor space. 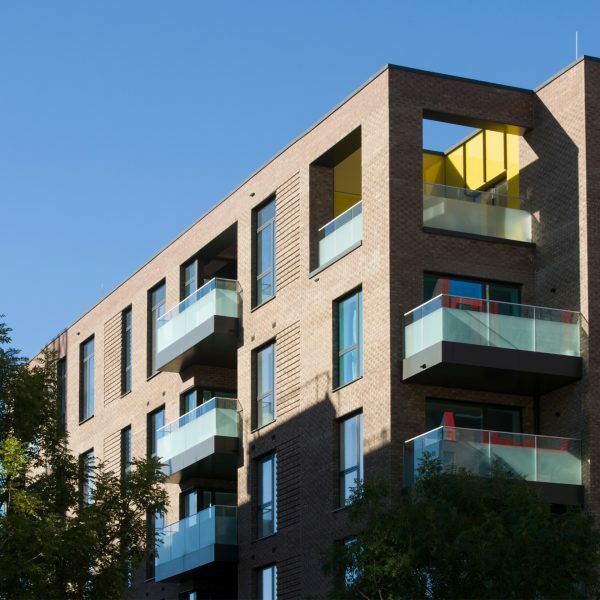 The channel is usually side mounted to concrete or steel balconies or parapet walls and is concealed with cover trims or within the wall and insulation build-up. 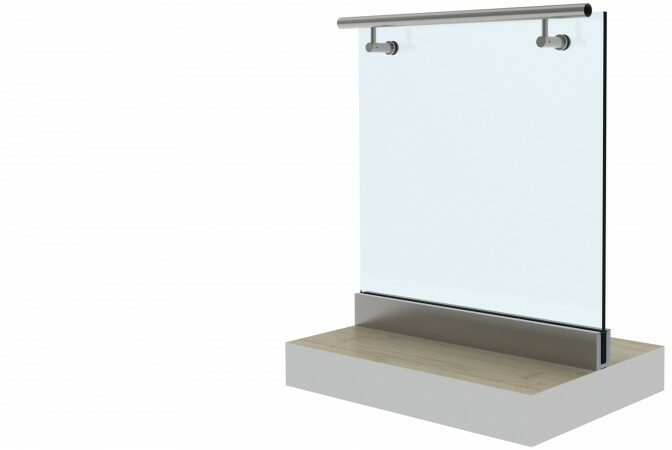 This system integrates well with waterproofing and other trades and glass is mounted in the channel with the BA proprietary wet grout system or dry wedge system. 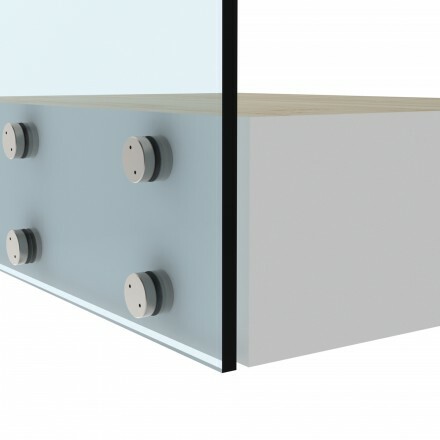 Glass is offset mounted to parapet walls or stair stringers on double pig nose bolt spacer assemblies. This fixing detail simplifies stair fixings where the stair stringer is to be exposed and visible. 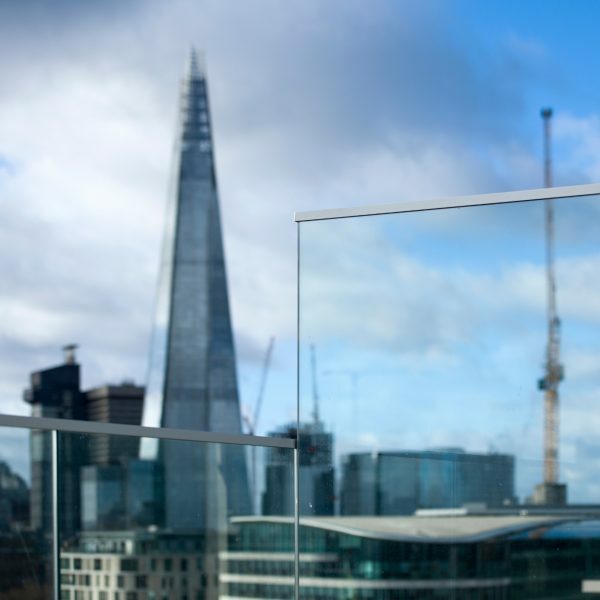 15mm monolithic or 17.5mm thick laminated clear toughened glass is typically used for balustrade loadings of 0.74kN/m design loads. This includes most residential balconies and terraces. 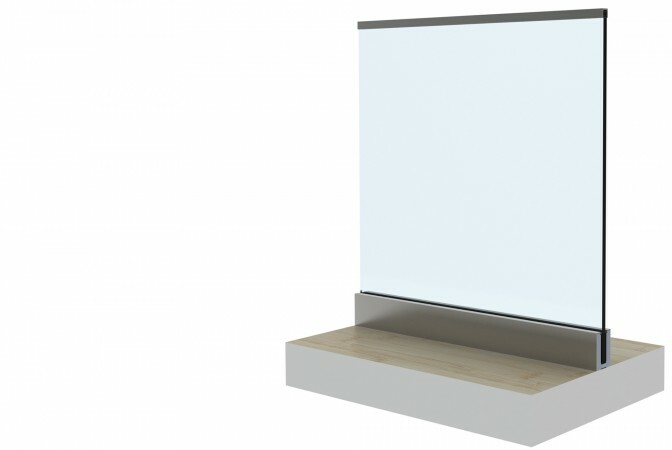 Glass is available in various options of opaque or coloured interlayers. 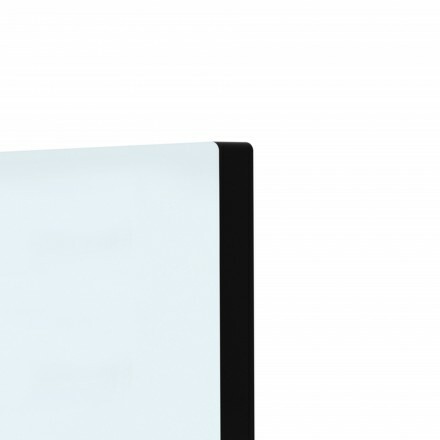 19mm monolithic or 21.5mm thick laminated clear toughened glass – which is used in public areas and general walkways. Glass is available in various options of opaque or coloured interlayers. 26.5mm thick clear toughened and laminated glass is used in public walkways wider than 3m and other areas that are subject to overcrowding. 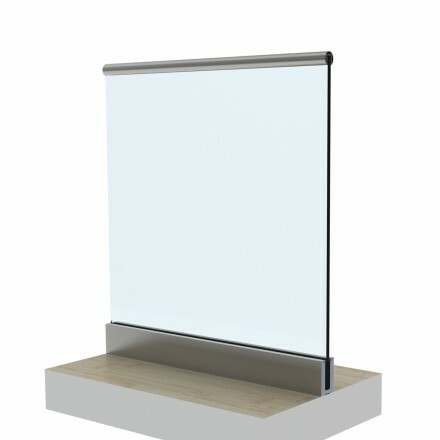 Glass is available in various options of opaque or coloured interlayers. 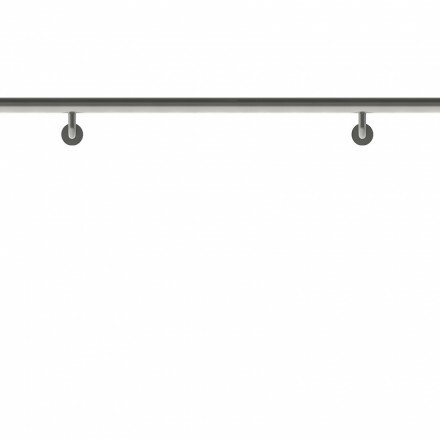 48mm diameter stainless steel slotted handrails top mounted to glass balustrades with appropriate gaskets. 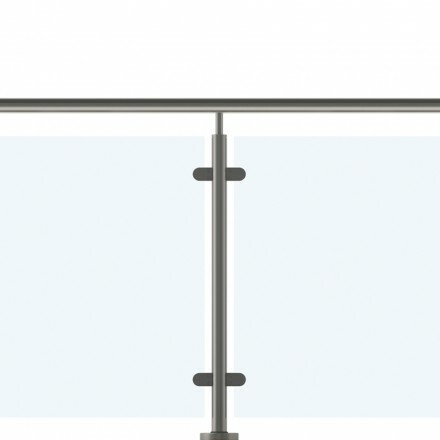 42mm or 50mm diameter stainless steel handrails offset mounted to the glass at 900mm height above finished floor level. 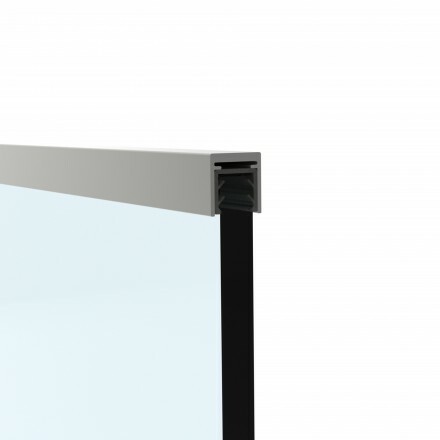 Low profile satin aluminium capping top rail to glass. 42mm diameter Legacy™ finish antique bronze handrails offset mounted to the balustrades. 50 x 30mm rectangular slotted Legacy™ finish antique bronze handrails mounted to the top of the glass. 50 x 30mm rectangular Legacy™ finish antique bronze handrails offset mounted to the glass. 50mm diameter hardwood handrails offset mounted to the glass at 900mm height above finished floor level. 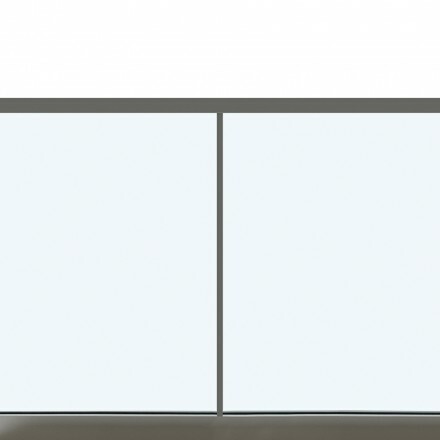 Toughened and laminated glass with no horizontal top rails. 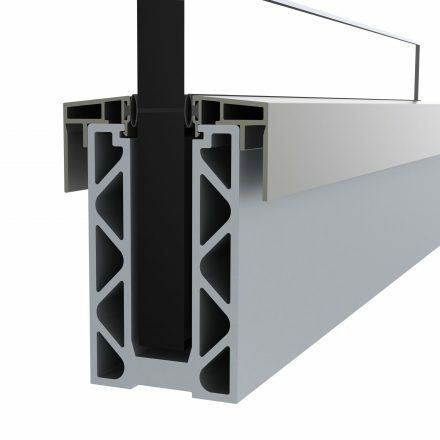 Powder coated base channel cover trim and gasket to coordinate with balcony fascias or waterproofing layers of up to thicknesses of 22mm and for fitting prior to waterproofing or cladding. 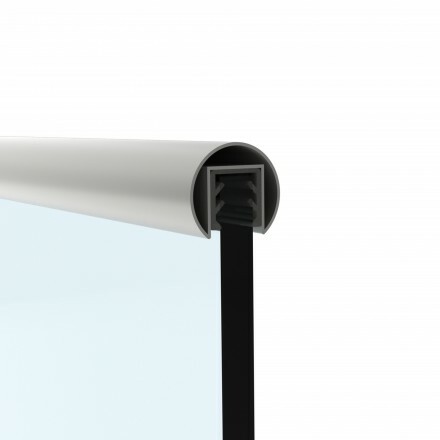 Powder coated base channel cover trim and gasket to coordinate with plasterboard or waterproofing layers of up to thicknesses of 10mm. 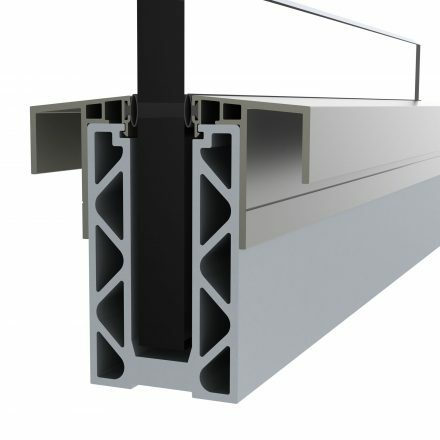 Powder coated base channel cover trim and gasket for flush fitting with aluminium cladding to the channel. 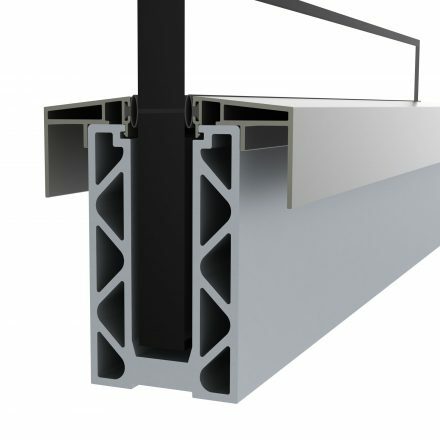 This profile also finishes the base fixing detail against balcony decking or paving. 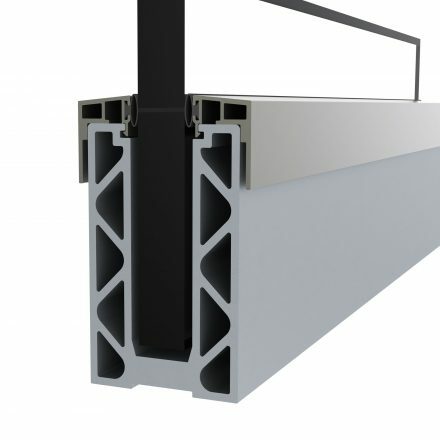 Powder coated base channel cover trim and gasket that coordinates with level capping or flashings trims to balcony parapets or upstands.